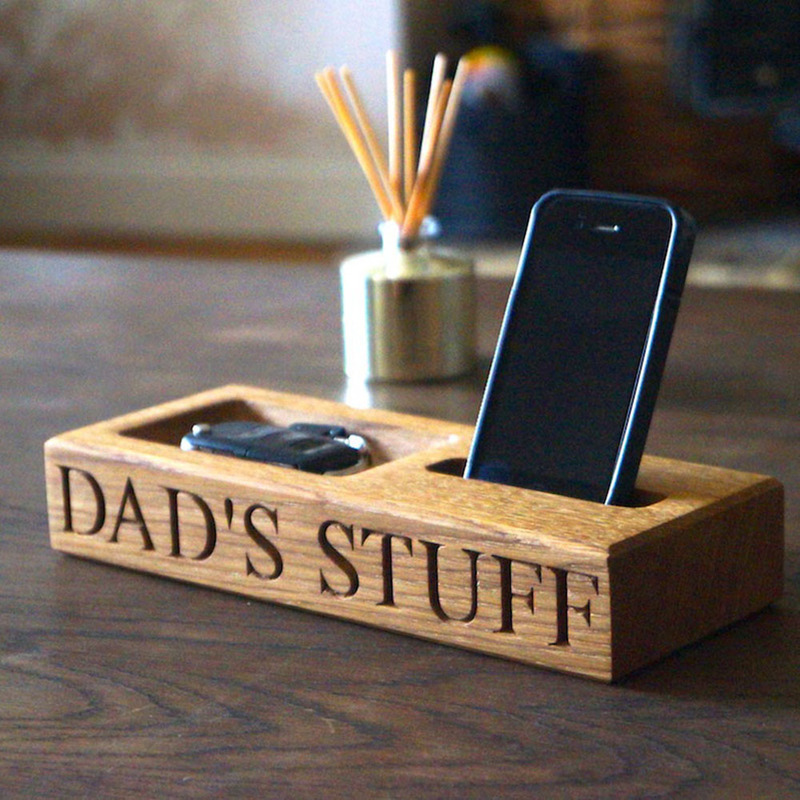 This is a stunning wooden desk organiser; never again lose your mobile phone with this oak phone stand and coin dish. 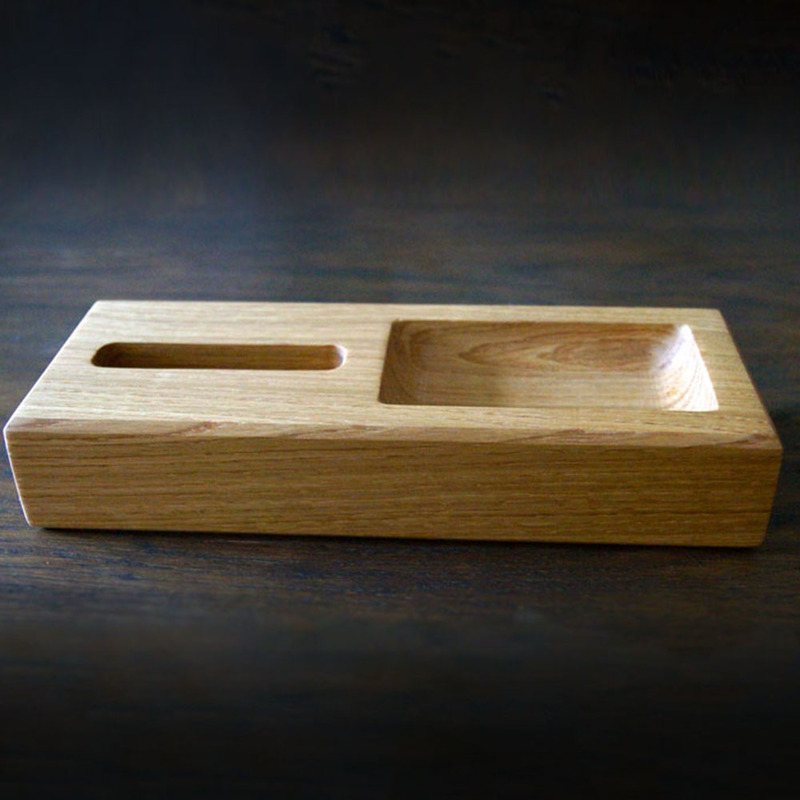 Each tray has been hand-crafted from Grade A English Oak and finished until silky smooth. These stands are the perfect gift idea for anyone in a new home owner, Father’s day or birthday present and will also make a great Xmas or 5th wedding anniversary gift for that someone special. 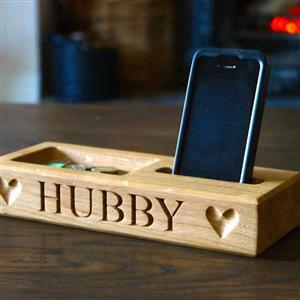 Personalisation: These beautiful wooden mobile phone and key holders are available blank or can be personalised with your choice of words or lettering. 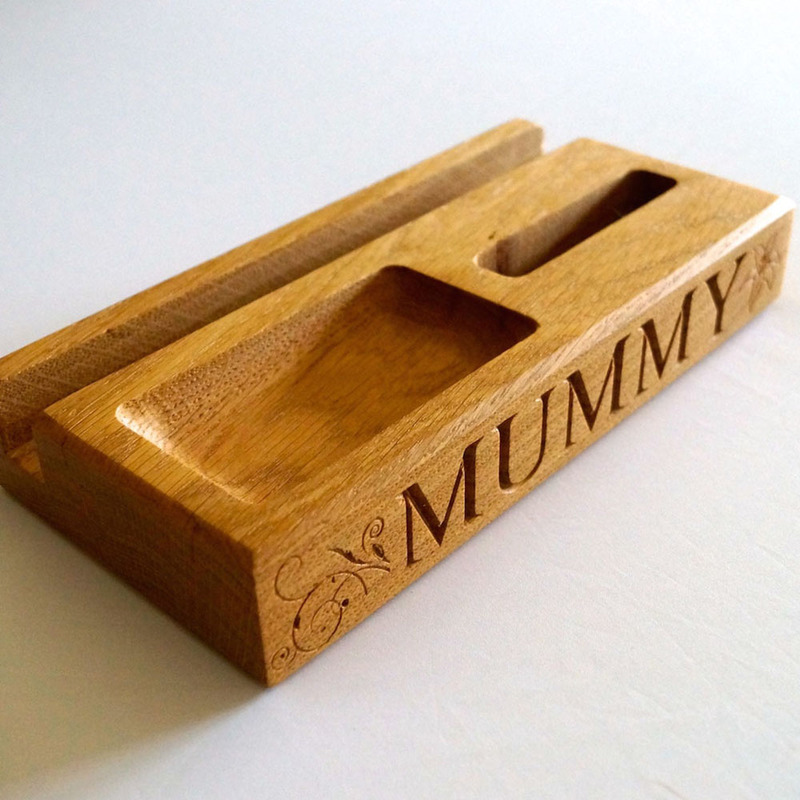 Perfect for any initials, names, house name, post code – whatever you desire. Up to 15 characters can be added on the front face, please add your text in the personalisation tab. Dimensions: 4.5cm x 10cm x 25cm (2” x 4” x 10”). Estimated Delivery Time: 7-10 working days. Please Note: All engravings are in capitals and all sizes are approximate. Delivery is possible to the anywhere in the United Kingdom (£6.99). Estimated Delivery Time: 7-10 working days. We will notify you when your Personalised Oak Phone & Coin Tray has been dispatched.